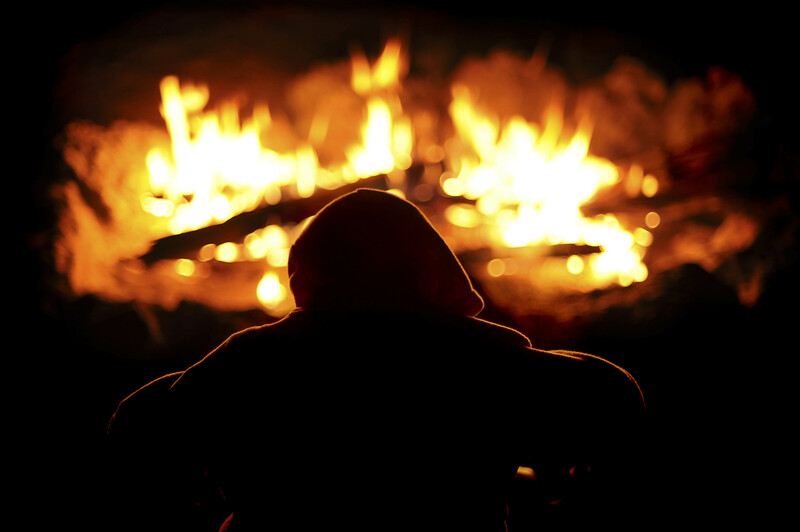 When was the last time you sat around a campfire? That sense of being warmed along with other people, all eyes on the flames, all ears on the conversation, the tales well told, maybe some songs bashed out on a guitar and hollered by a whole circle of people. That kind of communal connection with others is often difficult to find in our modern lives. That’s my experience anyway. Especially when the concept of community is being eroded by factors such as council cutbacks and the growth of identikit Tescotowns, where local libraries and community centres are flattened to make way for ‘contemporary lifestyle apartments’. But lo! There’s some good news, and I’ve found it through writing stories and discovering other people who write stories too, and finding that I can get together with them and… grasp that sense of community again. One example is the Word Factory, which holds a monthly live event for writers. Established authors turn up, read one of their stories aloud, and then talk about them. Struggling scribes such as myself can get inspired by what they have to say, chat to fellow writers, and generally feel less lonely about what is, let’s face it, a solitary pursuit. You can find out more about the Word Factory here. The other week I attended one of their events for the first time. I sat in a room with others and listened to Stella Duffy give a warm, funny, exuberant performance of her story. Before that, Rebecca Swirsky had given an elegant reading of a beautifully written tale. Rebecca is currently being mentored by Stella Duffy, and it’s clear she’s receiving some quality advice. And to finish off the evening there was David Almond, whose tale actually involved someone telling a tale, and whose calm Northern voice drew me in as if he were whispering into my ear – and everyone else’s at the same time. He was then interviewed and gave plenty of hard-won, humble and wise advice, which certainly put plenty of oil in my writing tank. Three writers, three very different styles of delivery, but all created a campfire in the city, the story and its performance flickering in the centre, a tale well told, and, of course, us… sitting together and feeling that connection, making that circle, even if just for a couple of hours. So, it seems that there are campfires burning out there after all, even on a cold, rainy night in the city. It’s nice to know. *PUBLIC SERVICE ANNOUNCEMENT* If you’ve got a spare few minutes, give one of my short stories a go. Click on the STORIES tab and take your pick. Great blog Bernie, thank you for mentioning. Looking forward to seeing you at another Word Factory Salon soon? Just read your Dystopian Litro story – brilliant writing Bernie, really enjoyed! Thanks a lot, Rebecca! Really chuffed that you liked the story.